Sseko Designs is turning the direct sales industry on its head. We are building bridges and creating opportunity for women on a global scale, and putting people over profit. This article is a case study on how one direct sales company is doing things differently. How Sseko is creating a more female empowered, consciously consuming global community. I am a Sseko Fellow. I live outside of Grand Rapids, Michigan with my family. I have three small children, and I work around their needs at home every day. Fellows like me live all over the United States. We work tirelessly toward our goals on behalf of ourselves and our families and our sisters in Uganda. We often work alone, late into the night, under the lonely glow of a computer or phone screen. We are truthfully somewhat detached from our big picture goals: providing education and equality in Uganda, creating a better life for our families in the United States, and empowering women across the globe. These are big, complicated ambitions. It’s a long road, not frequently or consistently traveled. In light of this, it is crucial for us to build community with one another. Without a sense of shared experience and a common purpose, we would inevitably burn out, one by one. No matter how inspiring or important the work, maintaining motivation is difficult when you are a solo entrepreneur. It is way too easy to get caught up in the individual hustle, or get lost in a mindless scroll. But this is not an uncommon problem. Many industries suffer from the endless grind and a lack of inspiration, including direct sales. We all aspire to the monotony that comes with a comfortable life, and then drown in it when we get there. How do we achieve our personal goals, live both a comfortable and adventurous life, and make a significant impact in the lives of women globally? It seems impossible when written out this way, but when we’re intentional about building the road to get there, and we are not afraid to consider the impossible as an option, it can be done. Sseko Designs is a direct sales company. 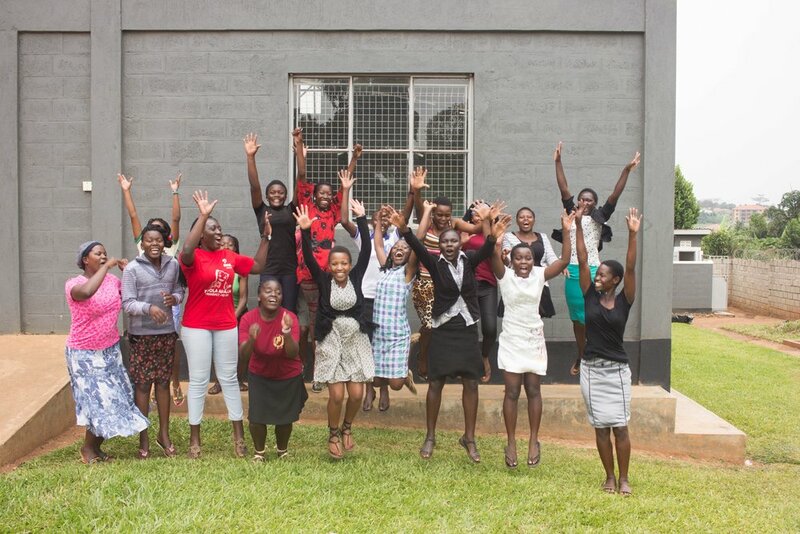 It did not start out this way, but it was an intentional switch because of the potential for community, and as a way to connect our Ugandan production team to the work that was happening in the United States so they could become our sisters. However, as an industry, direct sales is individualistic. Compensation plans and rewards are based on individual achievement, and as such, personal success is built on yourself and the work of others. Some companies do a better job fostering a sense of unity and family, while others still foster divisive competition, despite their best efforts. To be clear, this is not a criticism of the industry, in fact it’s just a reality of human nature and the values we sustain in the United States. As a company, Sseko Designs is exceptionally intentional about building cohesive and synergistic community. It’s woven through everything that we do, and continues to be a primary focus so our intentions can grow with us. We celebrate our uniqueness and individuality without sacrificing the importance of the group and our common purpose. It’s obvious to me now that one does not exist well without the other. Without recognition of our individual spirit, we are not committed to each other and it becomes a hollow obligation. At our Sseko Summit last month, about 75 Sseko Fellows traveled to Portland, Oregon from all over the United States to celebrate, meet in person for the first time, and learn together. It became apparent very early on that this was more than a conference with an inspirational speaker, music, and training. There was a lot of personal growth, a-ha moments, laughs, and tears. We shared deep personal observations about life and our dreams we had only begun to imagine, which can often be a vulnerable and painful experience. This was only possible because of the relationships and connection we were able to build together under the leadership of Sseko, despite the challenges distance creates. As I sat there breathing the same air as these women I’ve only talked to by the late night light of my phone screen, it dawned on me that our sisters in Uganda do this every day. What an incredible privilege to live and work in communion with one another on a daily basis! This statement is likely considered shocking by many of you reading this; to be jealous of women in Uganda who face struggles I cannot imagine as I sit here in complete safety and comfort in my home office in Michigan. But therein lies the secret purpose of the Sseko Fellows program. Building these bridges of understanding replaces these images we have of women in Africa and what their lives are like and what they are capable of achieving. Building these bridges of community creates opportunity for all of us to learn equally from one another and support each other in our goals and dreams. My sisters in Uganda are creating opportunities for me here in Michigan to support my family and create a better life for my family, just as I am creating opportunities for them to attend college and build a better life for themselves in Uganda. Without this equal commitment to each other and to the sisterhood as a whole, it just wouldn’t work. We are because you are. And you are, because we are.